Dr. Karlin’s medical practice of 18 years focuses on the treatment of the whole individual to stimulate the body’s natural healing abilities. Dr. Karlin has designed Well Being as a nurturing environment where the physical as well as the emotional history lays the groundwork for treatment. Through this approach, Dr. Karlin treats the cause of disease/illness rather than just the symptoms. Using effective and appropriately individualized treatment methods, the patient is guided towards balanced health. The goal is to create optimal wellness by identifying and eliminating the stressors on a patient’s system and supporting the body’s physiology. A degree in psychology from Rutgers University, was the beginning of Dr. Karlin’s path toward a career in patient care. Her research was published in the American Journal of Psychology for work on the effects of stress on decision-making skills. Motivated by her foundation in psychology, Dr. Karlin worked as a Youth Development Counselor in a residential treatment center for emotionally disturbed children. Her belief in overall health and the connection between health and the environment, led to her work as a Greenpeace Assistant Director, an experience that strengthened her resolve to enter the healthcare profession. In the year 2000, Dr. Karlin attained a Doctorate in Naturopathic Medicine from Bastyr University in Seattle, Washington. Dr. Karlin continued her graduate work with a Masters in Acupuncture and Oriental Medicine from Emperor’s College in Santa Monica, California. She is a board certified national diplomat in acupuncture and a California State Board Licensed Acupuncturist. 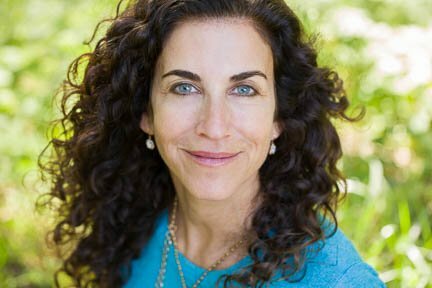 Utilizing and blending both Western and Eastern systems of healing, demonstrates her commitment to achieving more than just the absence of disease, but optimal wellness for all her patients through an effective holistic treatment. Dr. Karlin also achieved a certification in Neuro Emotional Technique to emphasize the integration of the physical, energetic and emotional planes of health. Please visit the Treatments & Techniques page to see her extensive training in many modalities that has prepared her to be your all-in-one healthcare provider. Dr. Karlin, practicing for almost two decades, is the director and owner of Well Being Medical Center. She has acquired many skills through her years of training, education and practice. She realizes that it may take more than one practitioner to provide her patients with the full spectrum of healing that they need. Therefore, she has a team of practitioners that she refers to. Additionally, she works with her patient’s established medical practitioners to create an integrated multidisciplinary network. This approach provides a complementary and comprehensive treatment protocol. Dr. Karlin has a general family practice and has the tools and experience to help anyone regardless of their diagnosis because she always treats the individual, not the disease. My purpose in life is to help others remove the limitations that are blocking their path to fulfillment of their goals on all levels of engagement with the world. This includes addressing the spiritual, mental/emotional and physical aspects of healing. If it is important to you, we will address it. I am committed to showing up for everyone in a way that is in alignment with the following principles of action. I help create the environment necessary to allow the body, mind and spirit to do what it intuitively wants to do – move towards a state of health. We work together to awaken the ancient inherent wisdom of the body by supporting and encouraging it toward self-healing. The wisdom of the generations before us is manifesting in us today. It is with this wisdom connection that we already have the answers to our healing and our medicine. Our sacred journey to health. I am here to guide you on that path, to walk with you on that journey. It is important to respect the personal journey of healing and growth. There is a perfection regarding the process that it takes for each individual to manifest their own optimal wellness. We do this without imposing any beliefs, modalities, or timelines that are less than in alignment for that individual. Isolation creates stress. In one form or another, stress is the beginning of all disease. Separation from each other, causes suffering. First and foremost, I am here to break down the walls that isolate us and connect with you, as a person. The healing of our patient’s wounds – whether physical, emotional, energetic, or spiritual – is our first priority above our ego. Providing an environment that is filled with sacred healing energy. This healing process begins the moment you walk through the door. Remembering that our greatest teachers are our patients.